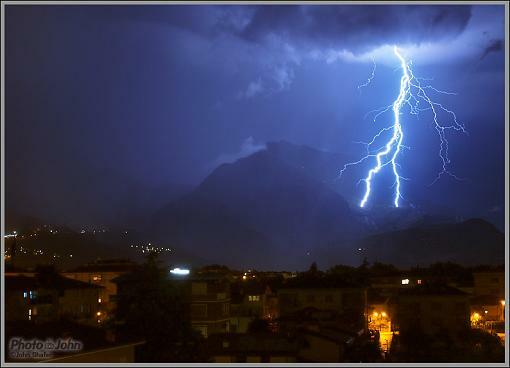 I just took this photo of lightning over the mountains north of Riva del Garda, Italy. I shot it with the new Olympus E-P3 Pen camera in manual exposure mode at ISO 200, 13 seconds @ f/8. The lens was the M.Zuiko 14-150mm. I don't have a tripod with me so I used my "The Pod" beanbag on my hotel room balcony railing. No RAW software yet so this is JPEG and tungsten white balance. I am sure I can squeeze more out of it once RAW software is available. Awesome capture. Post again after your raw conversion. Glad the new Pens are finally 12 bit raw!